Regular updates to your existing Website are very important. 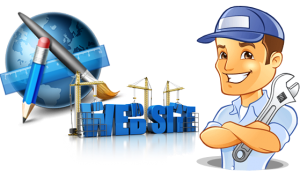 Our Web maintenance services will keep your Website maintained, updated, optimized for search engines and looking good! We will update the website on a monthly basis, in addition you may use our maintenance plans to replace old information, add new pages, or improve the overall design of the site. Whenever you want something changed or added to your website, all you need to do is email us the details and we’ll do the rest all within 24-48 hours. We provide a variety of fixed maintenance plans to choose from. Please review and choose one of the fixed maintenance plans . This includes website maintenance, updates and Internet Marketing. This includes website maintenance, updates, SEO, Internet Marketing.